The history books will mark Wednesday, April 10, as the day humanity got its first look at a black hole. That’s when astronomers around the world unveiled the results of the “herculean task” of providing the first direct visual evidence of a supermassive black hole captured by a global network of eight telescopes on five continents, collectively called the Event Horizon Telescope (EHT). The “event horizon” marks the distance from a black hole at which light is trapped by its enormous gravity, the point of no return. 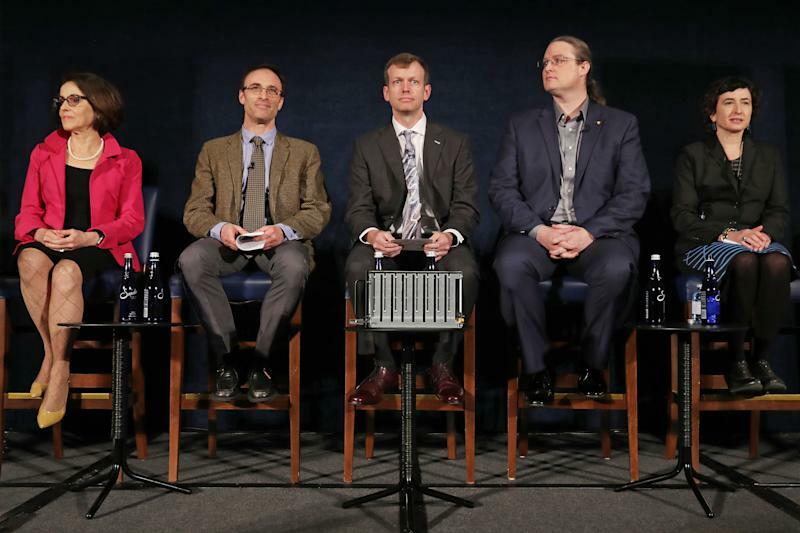 “We’ve been studying black holes so long, sometimes it’s easy to forget that none of us have actually seen one,” said France Cordova, director of the National Science Foundation, at the D.C. conference, one of seven concurrent briefings in cities including Brussels, Shanghai and Tokyo. 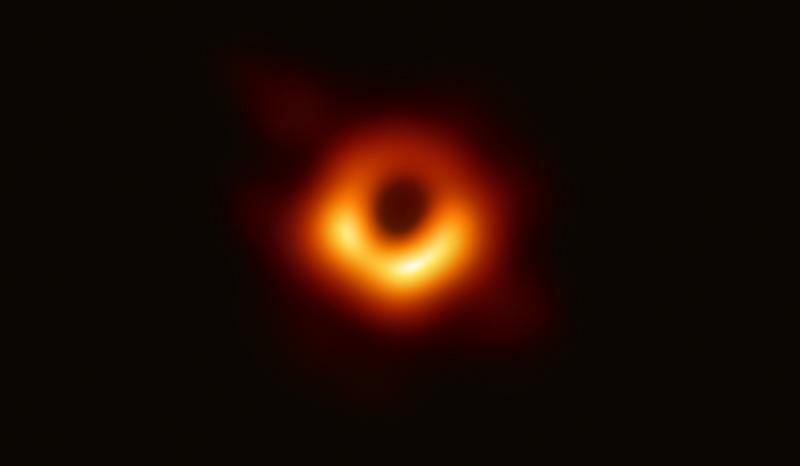 The black hole, which scientists said is 6.5 billion times more massive than the sun and spins clockwise, was discovered more than 50 million light years from Earth at the center of a galaxy called Messier 87 (M87). The decadeslong endeavor to capture the massive black hole culminated in one week in April 2017, during which all eight telescopes observed the same areas of space and collected vast amounts of data that then took months to analyze. Over 200 researchers took part in the project, computing data over the course of two years. But before this revelation, three years ago Katie Bouman, an MIT graduate student in electrical engineering and computer science, led the development of a new algorithm to help astronomers produce the first image of a black hole. Black holes are invisible, dense remnants of a large star that died in a supernova explosion, according to NASA. Their intense gravity field pulls in everything around it, including light. The picture of the black hole captured by the Earth-spanning telescope network shows a halo of “emission from hot gas swirling around [the black hole] under the influence of strong gravity near its event horizon.” It is further confirmation of Albert Einstein’s general Theory of Relativity, which predicted the existence of black holes. “It’s a dream come true, on many levels,” she added.